We are engaged in manufacturing, exporting and service providing of a very highly premium quality range of ABB Servo Drive. Our range is known for its high class performance and available at market's leading prices. Low Voltage AC legacy drives service support. Extruders, Rolling Mill, Coiler/Uncoiler, Slittors, Wive drawing, Tube Mill, Shed-Line Redor, Carding, Mixers, Machine Tools, Food Machinery, Conveyor, Automated wave housing, Lift, Hoise & Crane, Printing, Packaging, Test-Rigs, Ring Frame, Looms, Agitators, Pumps & Fans. medium voltage variable frequency drives ,Low Voltage VFD,Variable speed Drives, Soft starters, DC drives, Servo drives,Servo Motors ,PLC system, HMI ,CNC machines. We also support service, repair, replace,Exchange, rebuild, recondition, refurbish, retrofit and overhaul all the series of ABB Variable Frequency Drives. 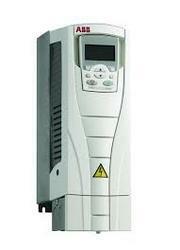 If you require further information about the ABB AC Drives. 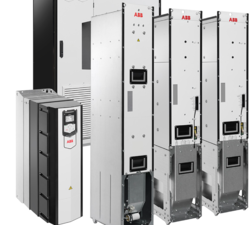 We are offering a comprehensive range of ABB drives for various application . Extruders, Rolling Mill, Coiler/Uncoiler, Slittors, Wive drawing, Tube Mill, Shed-Line Redor, Carding, Mixers, Machine Tools, Food Machinery, Conveyor, Automated wave housing, Lift, Hoise & Crane, Printing, Packaging, Test-Rigs, Ring Frame, Looms, Agitators, Pumps & Fans, Rope ways. All ABB servo motors are designed for durability, and ability to handle harsh environments. Stainless steel designs suitable for harsh environments and for the pharmaceutical and food processing industry . Third party service provider for ABB synchronous motors and ABB generators repair and maintenance. Servo motor and controller for military & aerospace industries. Servo Motor Control in military vehicular control systems. Integrated servo packs ,direct drive torque motor , defense vehicle weapon control systems, mobile radar systems ,robotic vehicle ,submarine, satellite,turret positioning systems and unmanned underwater vehicles. 1) The BSM N-Series provides applications with low inertia to attain the highest acceleration capability - to position faster - to obtain the highest machine throughput. 2) Baldor’s motors are hard at work, increasing productivity, improving part quality, providing precision and reducing cost in many applications. 3) This series provides continuous stall torques ranging from 3.9 lb-in (0.4 N-m) to 354 lb-in (40 N-m). 4) Peak torques is four times continuous. 5) This series has the lowest inertia to provide the maximum torque per package size. For any other related information required, feel free to contact us. We will do our best support at all time. 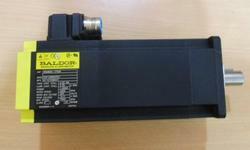 Offering Baldor Electric AC Motors, Baldor servo motor new or refurbished. We Have dedicated Baldor Servo Motor Repair facility. We have expertise to repair all types and makes of servo motors including DC and AC servo motors, spindle and stepper motors. 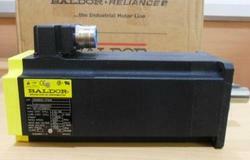 We are specializes in Baldor servo drive repair. 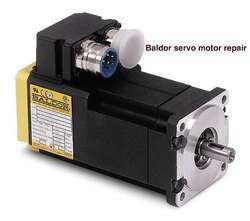 We repair all models of Baldor (ABB) servo drives and baldor servo motors. Are you looking for Baldor make ac servo motor? Star Automations supply the baldor servo motor for Industrial usage. 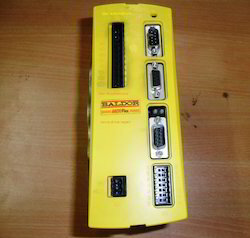 Packaging Details: 1)Baldor Original box packing 2)As per buyer requirements. If you are looking for ABB servo drive sale & service , please call us. We will do our best to help you find the Servo drive that you are looking for at the most competitive prices possible. Looking for ABB Servo Drive ?